Giuseppe Artolli: A respected professional with over 30 years, international Luxury experience mostly in the South of France and Italy. Nira conjures a modern idiom of luxury, born from the pursuit of excellence and a belief that perfection is only the foundation that we build on. To us, pleasure is not a state of being; it is the primordial purpose of the soul. We believe that exquisite travel and dining experiences are no longer dependant on superficial glamour and regimented operating procedures. There is a place for eclectic design and ever-so-subtle eroticism. Increasingly, guests are looking for a sense of sincerity and integrity, with service that comes straight from the heart. To us, true hospitality is about ‘your way’, a touch of our hand and the passion that binds the two. It is about the creation of hedonistic havens, where all manner of whims and desires are indulged. We favour a natural approach to hospitality, based on understanding, warm-heartedness and the occasional need for a place of sanctuary. Where abundant stimulation and relentless distraction has become intrinsic to many lives, the true luxury we offer is time and space. This more sensitive attitude to running hotels, resorts and restaurants stems from our spiritual and compassionate roots, born out of Asia. Montana Lodge & SPA is a boutique hotel, affiliated to Design hotels and is the only 5 star hotel in La Thuile. Montana Lodge & SPA is the first hotel operated by Nira Group in Italy. It is a band new property which has opened its door on December, 5th 2014. Designer : Studio Del Portico. Ristorante STARS: celebrating the beauty of Italian cuisine, the restaurant offers traditional local and regional dishes, using the freshest ingredients. High quality produce is sourced to create menus based on seasonality. Service is friendly and unfussy. Bar STARS: the ambience characterized by informal attitude and personalized service, creates an elegant atmosphere of understated luxury. Our beverage offer is entirely homemade – from syrups, extracts, essences, fruit blends. It is based on fresh and seasonal ingredients. All of the drinks are conceptualized a way that they will be in-line with the image of a luxury boutique mountain resort. 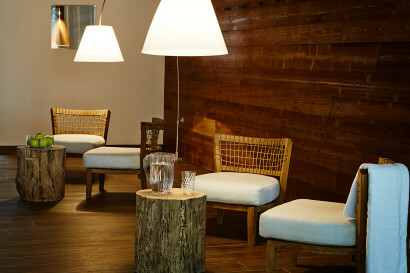 Nira SPA: it stands out as a sanctuary of peace with its holistic approach to a stress-free life. Thanks to use of biologic line products Comfort Zone our therapists promote the mountain well-being with specific therapies signed Nira SPA. Head up the peak-lined Aosta Valley in the direction of Mont Blanc and discover La Thuile. Courmayeur is nearby and France is just an exhilarating ski run away. La Thuile is a sleepy village a short hop from significantly more populous Courmayeur. 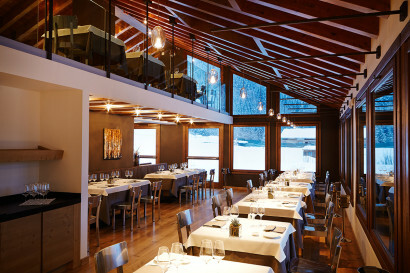 Montana Lodge & SPA is the perfect starting point to explore both: the Mont Blanc, Italy’s highest peak and a must-see for climbers and skiers; the nearby Gran Paradiso Natural Reserve which has saved steinboks from extinction; the spectacular Rutor waterfalls; elegant and historical Pré Saint Didier baths, dating back to the 1800s… Nordic skiing, heliskiing, free-riding and snow-kiting are popular around La Thuile and there are many opportunities for winter walks and guided snowshoe excursions. As the snow melts, skiers and boarders make way for mountain-bikers, walkers, rafters, canoeists and climbers. 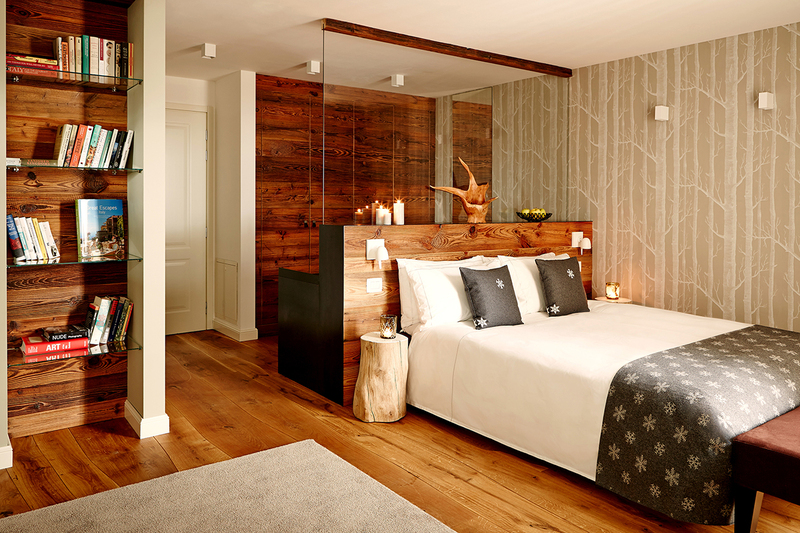 The hotel facilities are decorated with white cubist stag’s heads and slender trunks of silver birch, which recalls the wall of forest –patterned wallpaper in the rooms. 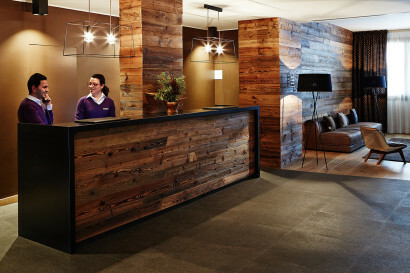 Walls are clad with reclaimed timber from local farmhouses, the floors are wooden but fashioned from curved pieces that follow individual trees’ natural shapes. Chrome and leather armchairs lounge beneath low-hanging handcraft Foscarini copper lamps, complete with wood-burning pizza oven, from the sleek, double-height dining room. Our hotel is perfect for families, as it features family suites and special kids menus as well as Kids Club. 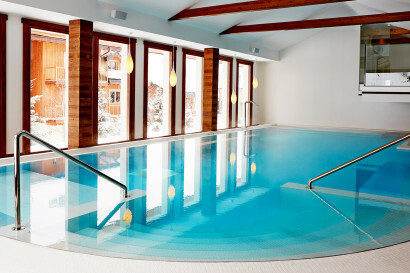 La Thuile ski resort features baby slopes designed with kids’s safety in mind. The perfect vacation for the whole family. 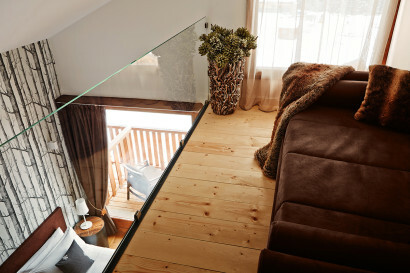 Covering 21-29 sqm, Deluxe rooms have a King or Queen bed and unrestricted views of the surrounding mountains. Twin beds are available on request. Most rooms have a balcony or terrace and connecting rooms may be pre-booked. Maximum occupancy: two people. sofa bed. Maximum occupancy: four people (2 adults and 2 children up to 16 years), or three adults. Covering 40-50 sqm, Junior Suites feature a King bed and unrestricted mountain views. Most have a double sofa bed and a balcony. Maximum occupancy: four people (2 adults and 2 children up to 16 years), or three adults. 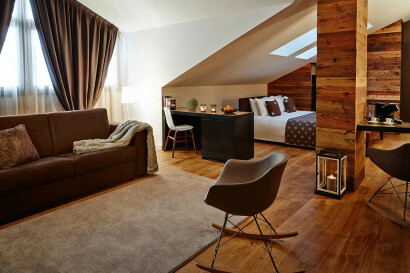 The largest hotel suites in La Thuile, Montana Lodge & SPA’s Suites cover 56-64 sqm. Each has a King bed, a double sofa bed, a comfortable seating area and unrestricted mountain views. Most have a balcony and some have storage space for luggage. Maximum occupancy: four people (2 adults and 2 children up to 16 years), or three adults. It offers the best of Italian cuisine, using the finest, freshest local ingredients. Brimming with fresh ideas, our talented chefs focus on simplicity and purity, sourcing high-quality produce to create menus based on seasonality and regional specialties. Focaccia bread and true Neapolitan pizza is baked in an authentic wooden pizza oven from Florence. The restaurant offers all-day dining, with a healthy breakfast buffet in the morning and a la carte service in the evening. 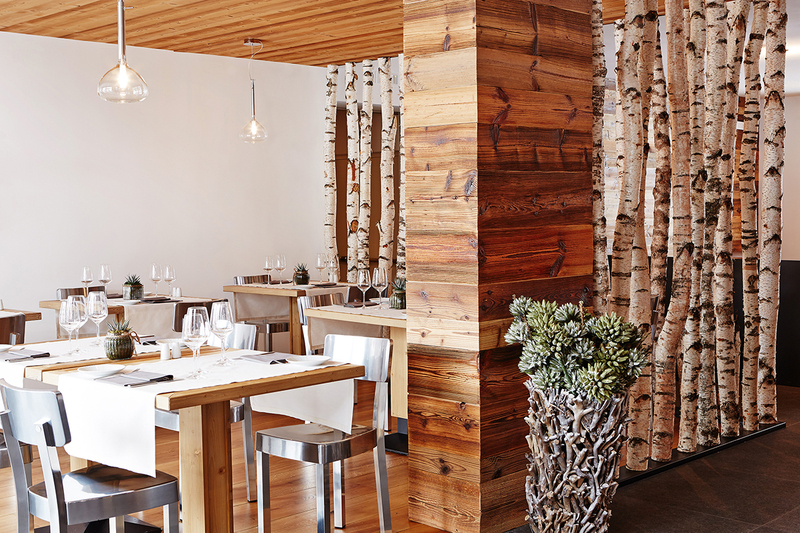 The ambiance is sophisticated yet casual, with local design touches. Room service is also provided. 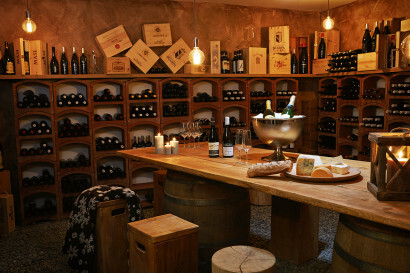 The hotel’s wine cellar is stocked with carefully chosen vintages, and signature cocktails, combining the crisp and natural ambience of the surrounding mountain area with the modernity of the hotel, are served all day in the Stars Bar & Lounge. Reflecting its picturesque mountain setting and inspired by the natural elements, the hotel’s Nira Spa offers a range of holistic treatments in a serene and elegant environment. 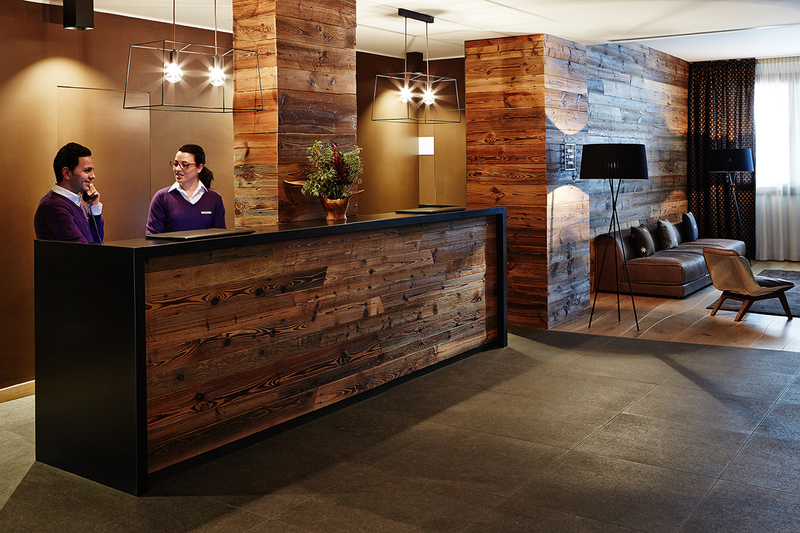 Bespoke programs and treatments, using only the best natural products, are designed to suit guests’ specific needs. Privacy is the essence at the treatment rooms, where pampering treatments can be provided to guests who want a purely indulgent experience, either alone or as a couple. There are three single treatment rooms, a private spa with a double treatment room and a room for manicures and pedicures. In addition to Nira Spa, the Private Spa can be booked either for a number of hours or for an entire day. Either a couple or a small group of friends can reserve this small hideaway to enjoy a day of relaxation and wellbeing. The Nira spa also features a Technogym gym, indoor swimming pool, sauna, steam bath, vitarium and Terra & Acqua (Private Spa). 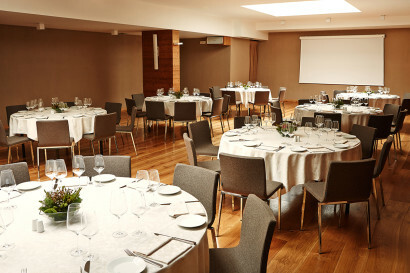 Montana Lodge & SPA Conference room flooded with natural light, is the ideal place for incentive meetings, while at night it is the perfect place to host gala dinners. The 177 sqm room can seat up to 100 people (theatre style) and offers a functional foyer area and a second meeting room for up to 10 people. At Montana Lodge & SPA you can arm yourself with apron and Chef Hat! The Chef Pizzaiolo of Nira Montana will disclose the secrets of the authentic Italian pizza to you. Brimming with fresh ideas, our talented chefs focus on simplicity and purity. The guests will take on the challenge of creating a real Italian pizza cooked in an original Florentin wood oven! You will find 160 kms of skiing slopes, Heli ski, ice-climbing, snow shoeing… “the celebration of nature”. Partners are travel industry suppliers in hospitality, air transport, yachting and destination management. 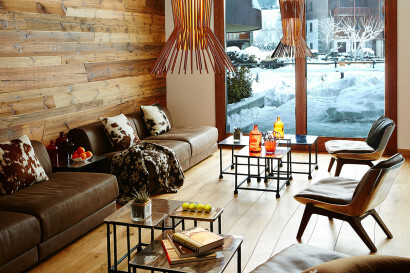 Traveller Made® is located in Sion, Switzerland.